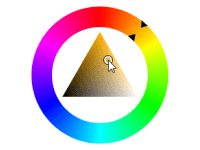 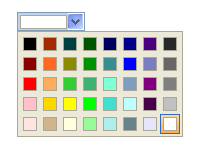 The NOV Color Picker component allows flexible and customizable color selection. 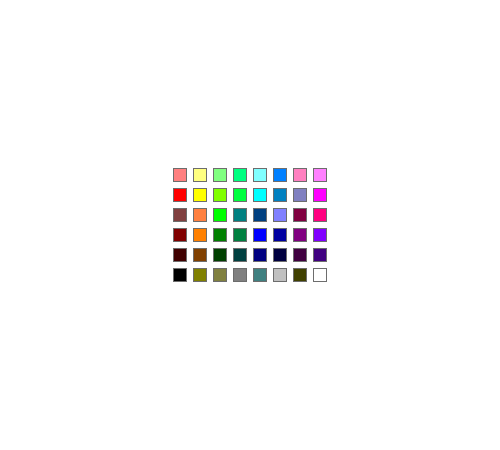 The NOV Color Picker for MonoMac and Xamarin.Mac is a widget that allow the user pick a color by modifying one or all of its components through a visual interface. 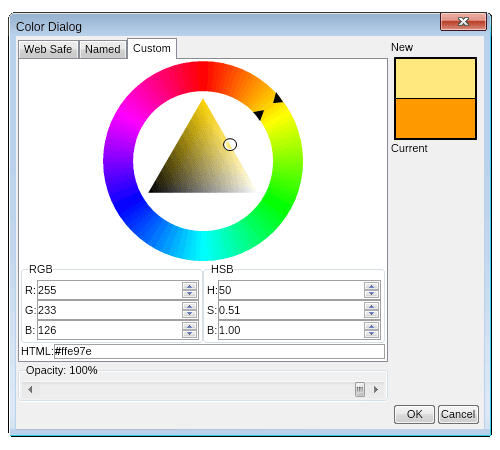 Some color pickers lets the user pick a whole color value, while others allow him to modify only some of the components of a given base color (e.g. 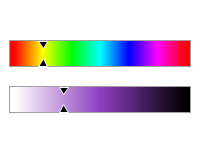 hue, luminance, etc.). The NOV Color Box is a drop down edit, which displays a Palette Color Picker in its popup window that allows the user to quickly select a color. 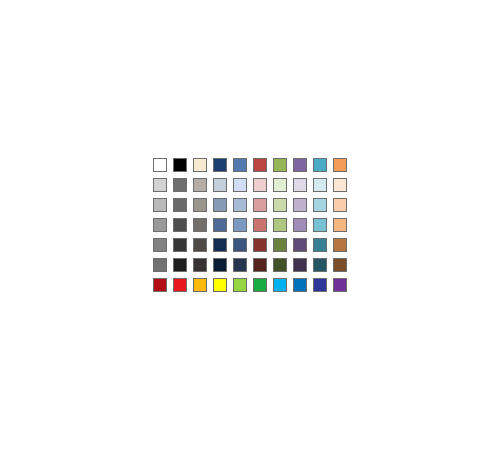 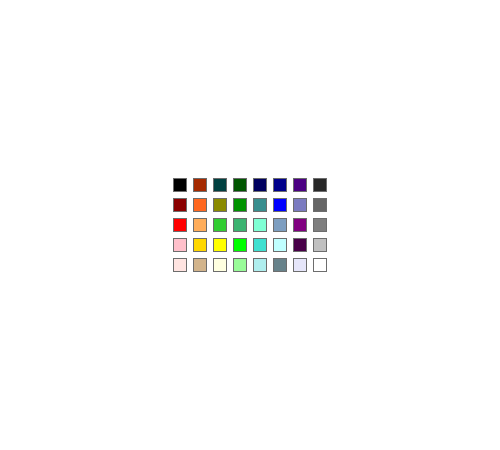 Custom - Represents a palette with custom defined colors. 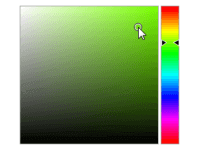 Color bars are widgets that let the user select a single color component - like Hue or Luminance. 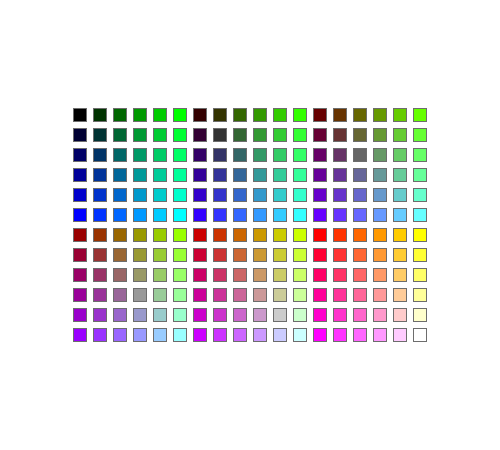 NOV Color Picker widget is styled with CSS. 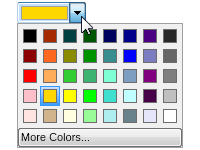 NOV initially comes with the following themes: Windows 8, Windows 7, Windows XP Blue, Windows Classic (with all color scheme variations) and Mac Lion.